Grout is great for keeping the tiles together, and for sealing the flooring to prevent water from leaking. But because it is porous, and typically light-colored, it can stain easily, and can trap germs, grime, and soap scum. Without proper cleaning, you may even see mould growing on grout. Why? Because tile grout is commonly used in the bathroom, and laundry rooms – areas where moisture is abundant. When mold builds up on the grout, it is not only unsightly, but can also pose health risks to your family, and cause structural issues to your home. 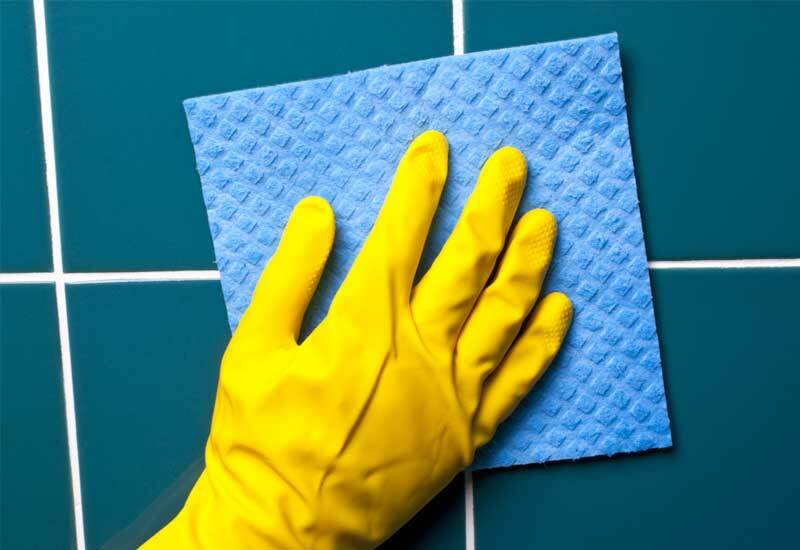 Steam cleaning the grout is an environmentally friendly alternative to cleaning with harsh chemicals. If your steam cleaner comes with detail nozzles, scrubbing brushes, and extension rods, then definitely use those attachments, but opt for a pointed and thin nozzle that will allow you to clean between the grout lines with more precision. This method works well because the high heat from the steam effectively loosens up mold, dirt, hardened soap residue, and other debris. The loosened gunk will then be carried by the remaining water, and can be removed by scrubbing the grout. If you are dealing with more stubborn debris, and want your grout sanitized better, another option is to enlist the help of professional cleaners who will use steam cleaning machines to cover a larger area, and finish the job in a shorter period of time. 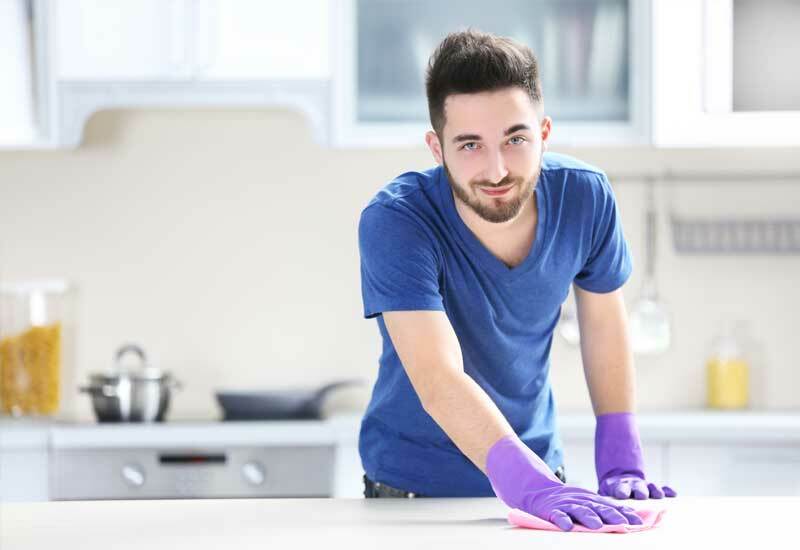 The unique chemical properties of baking soda make it a great cleaning solution not just for the grout, but also for other areas of the house that require intense cleaning. Unlike the typical soap, baking soda is abrasive, so it dislodges stains and even mould buildups more effectively. Mix it with vinegar to create a non-toxic cleaning solution that can do wonders for your grout. Take a quarter cup of baking soda, and add one tablespoon diluted white vinegar and dish detergent to make a paste. Apply the solution to the grout, and give it a chance to fizz before you scrub it with a clean toothbrush. Scrub away any debris, and wipe away the excess cleaning solution with a water-soaked rag, or paper towels. The final step is to mop the tile grout to give it a gleaming finish. If there are tougher stains to remove, add hydrogen peroxide instead of vinegar to boost the cleaning performance of baking soda. Just mix two parts baking soda with one part hydrogen peroxide to form a thin paste. Then grab your grout brush or any stiff-bristled scrub brush to apply the paste to the grout. Give the cleaning solution up to five minutes to really soak into the dirt, so you will have an easier time scrubbing out any dirt, mold, and mildew. Once done, wipe up any excess paste, and mop the floor as you typically do. A daily cleaning can work wonders in keeping your grout dirt-free, why is why we advise people to get into the habit of wiping bathroom tiles and glass walls after every bath. It can be as simple as running a squeegee on the tiles every after shower to get rid of excess water that would otherwise linger in the bathroom and become a haven for molds. Another simple thing you can do is to spray the tile with a mild shower cleaner to prevent premature damage and staining to your grout. You can even make your own shower cleaning solution by mixing four parts water with one part vinegar. To prevent dirt from getting stuck on the grout in your living area, you want to avoid sweeping the tiled surfaces, and instead vacuum the floors so you are not spreading the dirt around. Doing these things daily may be a little annoying at first, especially if you are used to leaving the bathroom to dry on its own, but trust us when we say that it will save you a lot of work in the long run. While you can prevent stain buildup on your grout with the daily cleaning routine outlined above, you will still need to perform a weekly deep cleaning of your bath and living areas to make sure that any soap scum or body oils clinging to the tiled surfaces will be removed. You can either opt to do the massive cleaning on your own, or seek the expertise of trained cleaners to take over the task for you. 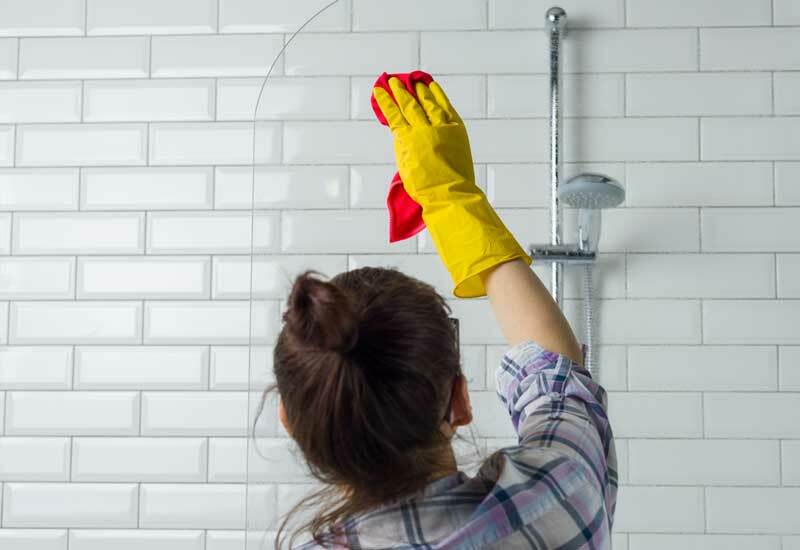 Professional cleaners have the proper tools and experience to perform a effective clean using safe cleaning solutions to get stubborn dirt out of the grout, and to give the whole area a refreshed look. Getting stains and grime out of the grout can be done with the natural cleaning solutions mentioned above. But when it comes to mould removal, you have to be extra careful, as there are toxic types of mold that you should avoid having direct contact with. As such, we advise that you wear protective goggles and gloves before attempting to eliminate mold from your grout, or better yet call a professional to treat the area. Use chlorine bleach to remove the buildup of mould and soap on the grout, and also to disinfect the area. Simply combine one part bleach and four parts water, and store the solution in a spray bottle so you can easily spritz the affected area. Wait for at least half an hour, then scrub the grout with a clean toothbrush. When all the dirt is already on the surface, rinse the tiled surface with clear water. Knowing how to clean the grout is essential to ensuring that it has the maximum life possible. Sometimes, however, the debris can be so stubborn that even a mixture of baking soda and hydrogen peroxide is not sufficient to remove the problem. In such cases when the task of killing mold spores and bringing back the shine of your grout is too much for you to handle alone, the best choice is to use professional maid services. Our professional cleaners at Pristine Home have over 10+ years experience in cleaning bathrooms and group and will use the appropriate cleaning tools, and advanced equipment to prevent further damage to your grout, and to ensure the pristine condition of your bathroom and living areas. 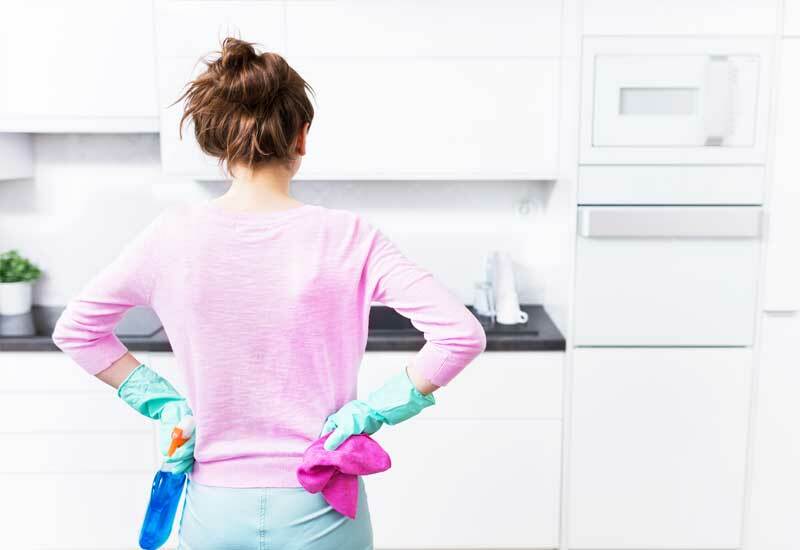 Much of the problem is just being proactive, rather than reactive, and our cleaners will help you stay on top of your cleaning before it becomes a problem. It’s easy, use our online quote form to get a free quote within 60 seconds and we can have a home cleaner out to your home as early as tomorrow.